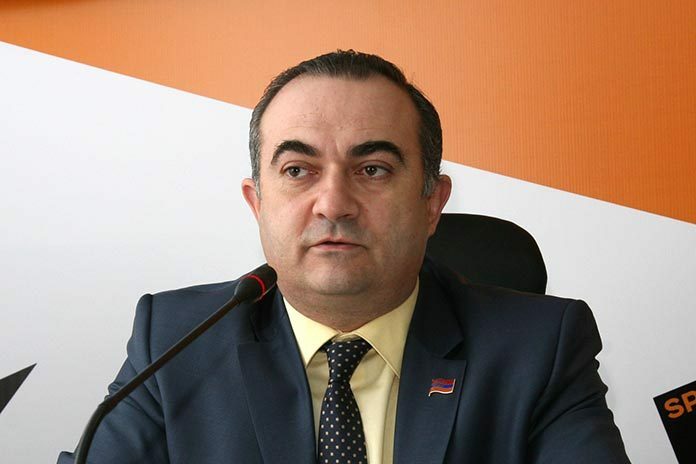 National Assembly deputy Tevan Poghosyan’s bill “Human Reproductive Health and Reproductive Rights” is meant to ensure that young men conscripted into the army could have children even if they did not survive their service. The proposal comes weeks after a four-day war in Nagorno-Karabakh that left 118 Armenian soldiers dead and more than 120 wounded, including many conscripts aged 18-20. Despite the verbal ceasefire agreement reached with Azerbaijan on April 5, loss of life at the frontlines continues in sporadic gunfire and skirmishes on nearly a daily basis. Analysts and military experts do not exclude the possibility of fresh deadly clashes and even a full-blown war in the conflict zone given the fragile nature of the current truce. The note, substantiating the necessity of the law, reads: “Given the fact that military service is full of unpredictable dangers and risks, in order to ensure conscripts’ further reproduction and continuity of their generations, the creation of a sperm conservation bank will be essential and important”. “One might have a desire to preserve [a son’s sperm] for having a grandchild, another, for example, a single woman, who wants to have a child by artificial fertilization, may want to know who the donor is. Besides, parents of a perished son may wish to have offspring of their only son. I do not know how it will be used, but my task is to ensure such an opportunity to preserve our genetic base,” Poghosyan, a member of the Heritage party, told Tert.am. Defense Ministry spokesman Artsrun Hovhannisyan said that the proposal is interesting and should be discussed with doctors and specialists. “Instead of thinking about creating a sperm bank, they should, during these 25 years, have thought about establishing a contract-based professional, high-paying, technically well-equipped army, in which the life of a soldier would have been guaranteed not to eliminate the 18-year old generation. Stop idle talk. We have neither nerves nor time for that,” activist Ani Kaghinyan, wrote on her Facebook account. Poghosyan also suggests having a compulsory military service for females. “The number of girls studying in various military schools in Armenia is growing. We should seriously consider the possibility of Armenian women taking up military service, to prove to the public that there is nothing wrong in it,” said Poghosyan, the father of four daughters and a son. Poghosyan introduced such a bill last year, but it never made it beyond the discussion phase in parliament.